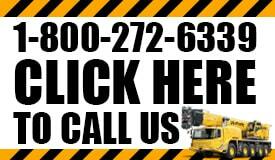 When you look for HVAC crane service you will see a lot of names that come up. So what do you base your decision on when selecting a company? The first thing is price which is understandable. You need to make a profit on this job and overpaying your subcontractors is the easiest way to cut into that profit. The next thing you probably look for is location and availability. If they can’t get to your job site either because of where they are or because they are overbooked then what good are they to you? Those are fair things to look for when you need a Virginia crane rental company. Have you considered looking at experience and service? No matter the size of the project, there are literally tens of thousands of dollars on the line, your reputation and dozens of lives. Is that a responsibility you want to put into the hands of the company that has the lowest prices? What about services? If you need machinery repair work done, storage or something else, wouldn’t it be nice to hire a company that can handle all those things and more? Finally, you need to look at the flexibility the agency offers. 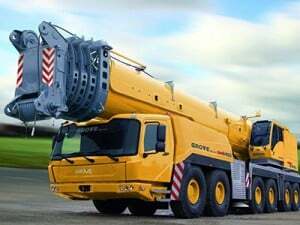 VA Crane Rental can handle any job of any size whether it’s HVAC crane service, moving a house or something else. Whatever you need, we will accommodate your needs and get the job completed, on time, safely and on budget. That’s not something you can overlook, especially as you need to make sure that your project stays on time as you cannot afford any major delays or problems. Therefore, while price is important, you need to make sure that you choose the right agency based on more than just how much they charge, you need to pick the team that will get the job done. Safety is a must: One of the biggest mistakes made on a construction site is to rush a task. You never complete anything faster by rushing. In fact, it only creates more problems down the road. That’s why you need to make sure that you choose a company that makes safety a priority. Additional help: There’s a lot to be done on a construction site and throughout the job you are probably going to need extra help with various aspects of the project. That’s why we offer additional services like repair work, storage and more to ensure that you stay on schedule. Experience you can count on: For decades, contractors around the state have relied on us to deliver consistent and high-quality work that is completed on time and on budget. We have lived up to that challenge time and time again. When you need HVAC crane service in Virginia, we hope you will keep us in mind as we have handled hundreds of jobs for residential, commercial, rough terrain and other types of projects. Our team is experienced and ready to assist you with anything you need. No job is too big or too small so give us a call today and we will be happy to assist you.